Your privacy is important to Spiritual Business Spotlight and there are a couple of things that you need to know about the way Spiritual Business Spotlight collects, stores, and uses your information. This notice is as full, accurate, and complete as I know to make it and is always subject to updates based on changing technologies, services, and laws in the EU and around the world. Using my site, services, or signing up for my email list implies understanding and permission to store and use your information while protecting it from misuse or theft. 1) Cookies. All sites create cookies, which are small files your browser stores to better interact with a site. You can read more about cookies on Firefox. Personally, I don’t do anything with this information. I have to let you know, though, that my site collects the information. 2) Safe storage. All of the information I collect from you is stored on a secure site, either through MailChimp, PayPal (for payments), or SiteGround, my site host. I’ve set up a secure site name and I have taken measures to keep the site safe from being hacked. 3) Usage. The information that cookies collect will be used to enhance your experience on the site. This may be a matter of language preferences or history of visiting the site. 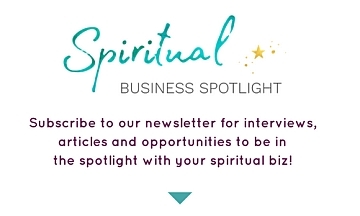 Email – I will use your email address to send you information about blog posts, featured experts, and information/updates from Spiritual Business Spotlight. Currently, your information is stored by the company, MailChimp. I may change companies in the future. I have 3 different types of viewers/visitors on my site. a. Audience members. Audience members are here to read blog posts, listen to podcasts and interviews, and peruse our expert directory. I really only need an email address and first name from “general audience members,” (those who are not experts or featured experts on our site) so I will not collect any other information from audience members. Your information will not be shared or sold. If you choose to give your information to any of the Experts listed on our site, they are responsible for the privacy of your information and how they use it. Spiritual Business Spotlight is not responsible for how our experts use the information they collect. b. Free Experts. 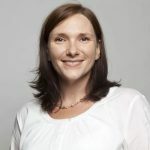 If you choose to be listed as a Free Expert on our directory, I will collect your first and last names, your website address, your email address, and a picture of yourself. This information will be shared with our audience members and perhaps our email list. If you, as a Free Expert, participate in an interview or write a blog post for us, your information may be shared with our social media followers, email list, and podcast subscribers. c. Paid Experts. If you choose to be listed as a Featured or VIP Expert, I will collect your first and last names, your website address, your email address, a picture of you, your social media sites, and other information as requested and required. This information will be shared with our audience, email list, social media followers, and podcast subscribers. In addition, your payment information will be collected and stored via our account on PayPal. VIP members may also share their Skype information or phone number to be used for individual sessions. Your information will not be sold to a third party unless the entire site is sold. In the event that the site is sold, you will receive ample notice about the change and the ability to opt out of your subscription, at whatever level, to our email list, directory, audience, featured listing, or VIP service.